The winter weather can be really hard on your skin, and the holidays can be a stress! 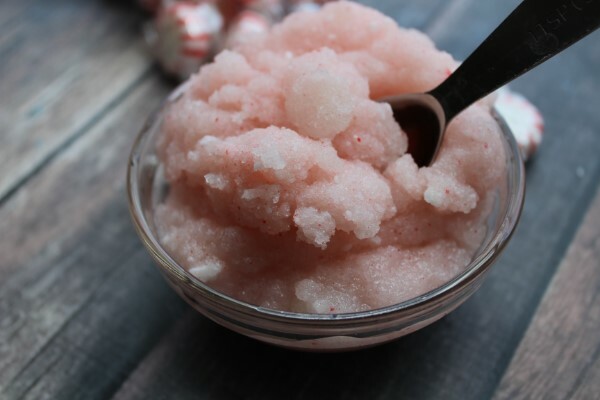 Help yourself relax and enjoy a pampering treat with this simple Homemade Peppermint Sugar Scrub. It gently exfoliates dry winter skin and leaves behind soft glowing skin that smells lightly of the refreshing scent of peppermint. Perfect to treat yourself for the holidays or to make and fill up a pretty jar to gift to friends and family. Homemade Christmas gifts are a great way to save money, and this one is easy and inexpensive! 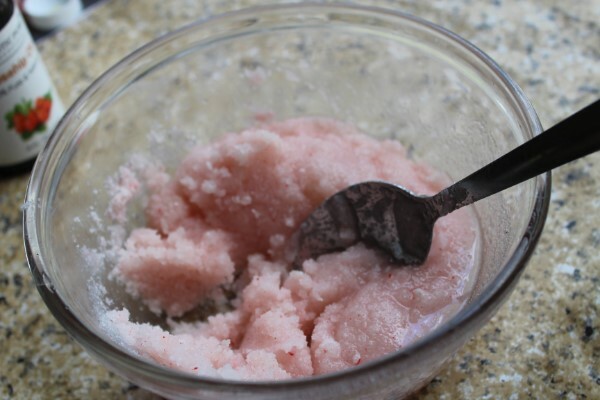 Plus, sugar scrubs are one of the simplest diy beauty recipes, and you will LOVE how it makes you feel! This post is part of our 12 Days of Handmade Christmas Gifts 2016 series! See the rest of the series here: Hand Made Christmas Gifts! 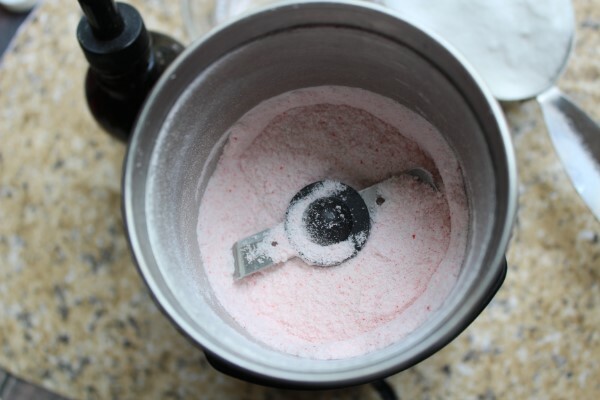 Place the mints in a mini food processor or coffee grinder. Pulverize until they are dust. We have purchased a coffee grinder just for our diy beauty projects, and you may want to consider this if you plan on doing a lot of DIY beauty products too! 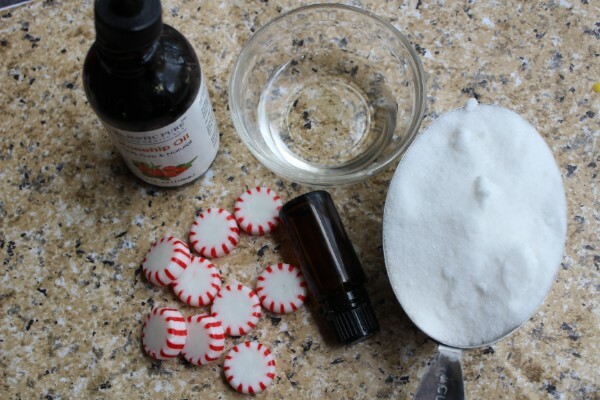 Combine sugar, oils, and peppermint dust in a large bowl. Add peppermint essential oil to scent to your desired strength. We like ours pretty strong so it leaves a wonderful scent behind and the aroma is great for cold season as well. Stir well to combine ingredients thoroughly. 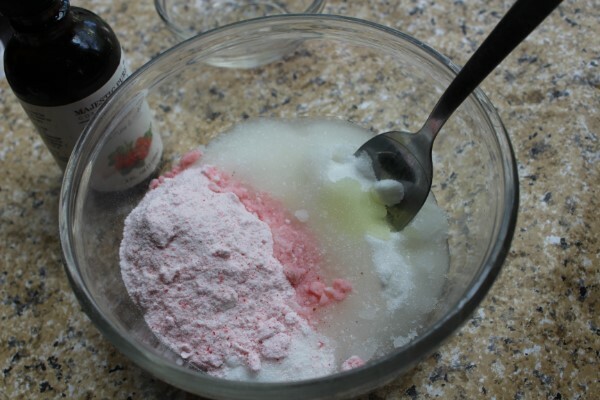 Transfer the sugar scrub to a pint mason jar or other container with a tight fitting lid and keep in a dry place. Also we suggest NOT placing a glass jar anywhere in your bathroom. If you plan to keep it there, use a plastic jar to avoid breakage! To use: Scoop out a generous amount of scrub and vigorously scrub onto wet skin in bath or shower, rinse skin well and pat dry with a towel. Rinse shower floor out well, as it can make it slippery. 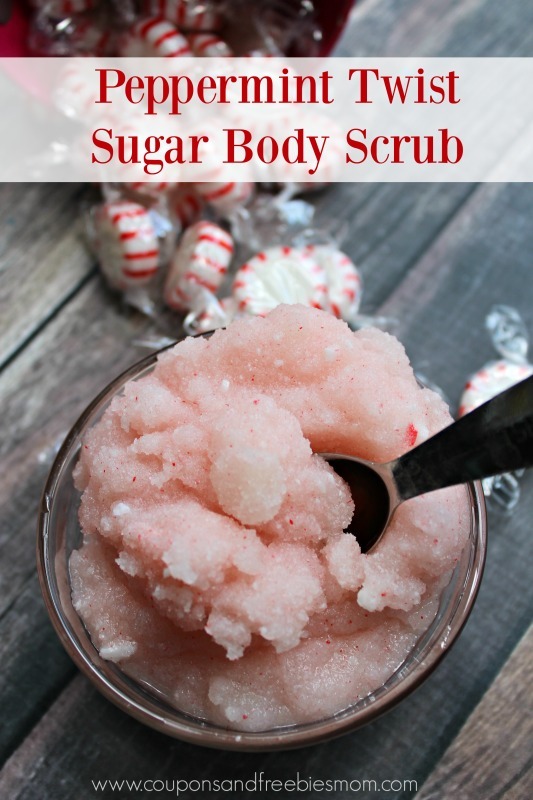 If you liked this Homemade Peppermint Body Scrub, be sure to check out our 12 Days of Homemade Christmas Gifts 2015 series and our 12 Days of Handmade Christmas Gifts 2014 series, where you’ll find other great inexpensive DIY Homemade Gifts! How long does this last in a sealed container? Does it get moldy? I like how you showed what all the ingredients looked like in the bowl before you mixed them! The mints are a great addition too. Thanks for posting this, I’m excited to try it! How many pint containers will this make? Hi I made this in a large batch, doubling the recipe. It smells fantastic. My only issue is the coconut oil solidified quite a bit on the top. The sugar was harder. Than I liked. . Should I use less or more oil? Tracy – If it’s kept in cold conditions, it will harden up the coconut oil a little bit. 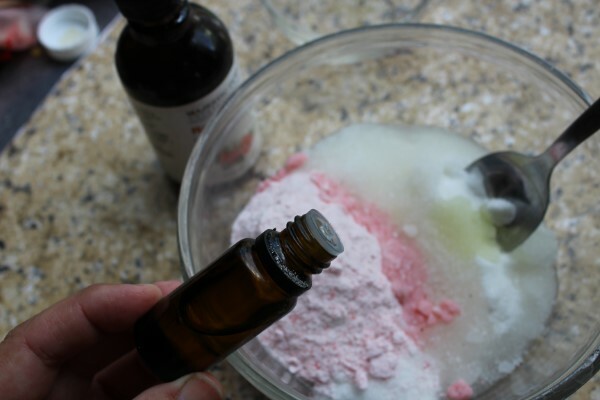 You could also use fractionated coconut oil in it if you prefer, as that will stay completely liquid. Also, if you have it in the shower when you’re taking a hot shower, that will also soften it up quite a bit. Coconut oil melts around 76 degrees, so your body temperature will soften / melt it. great Idea! my sister will love it!